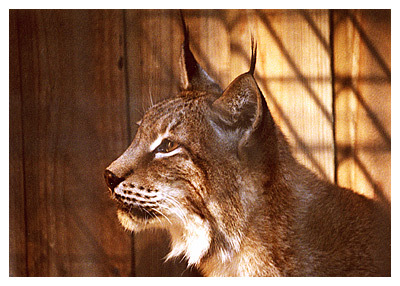 The lynx is listed as threatened under the Endangered Species Act. A medium-sized cat characterized by its long ear tufts and short (bobbed) tail, the lynx has unusually large paws that act as snow shoes in very deep snow. 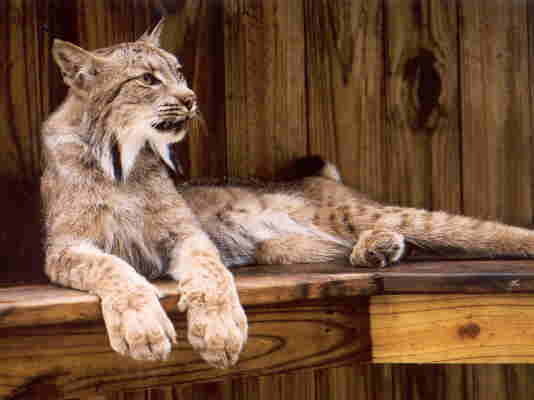 Lynx measure an average of two and a half feet long and weigh between 17 to 25 pounds. Their thick fur and long legs make them appear larger than they really are. 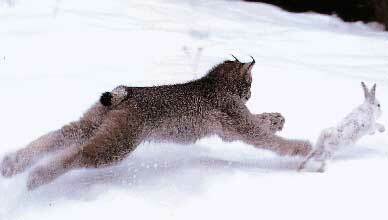 In the lower 48 states, as few as 700 to 1,200 lynx exist. Lynx in the wild tend to live 10 to 15 years. 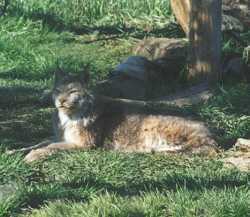 The lynx historically occupied four geographically distinct areas within the continental United States. These areas included the Northeast, the Great Lakes states, the northern Rocky Mountains/ Cascades, and the southern Rocky Mountains. Lynx today are known to occur only in Maine, Minnesota, Wyoming, Oregon, Idaho, and possibly in Michigan. A recent reintroduction program has begun in Colorado. Lynx have complex needs for habitat. They require a mosaic of forest types, including young trees for hunting their primary prey (snowshoe hares), old-growth trees for building their dens, and something in the middle to act as a corridor between the two. 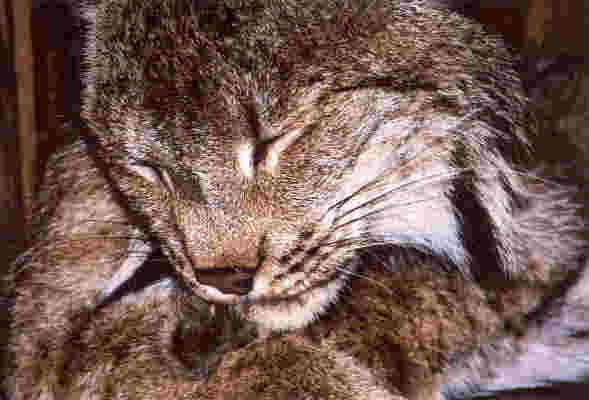 Snowshoe hares are the primary prey of lynx. Lynx are specialized hunters and can survive only where there are adequate hare populations. Lynx occasionally prey on mice, voles, grouse, ptarmigan, and red squirrel. Generally solitary animals, lynx usually hunt and travel alone and are slightly more active at night than by day. Lynx breed from March to April, and an average of four kittens are born in May. Kittens stay with their mother for the first year while they learn to hunt. Once hunted and trapped for their fur, the lynx is now protected from all hunting in the U.S., except in Montana and Alaska. The greatest threat faced by lynx today is the destruction and overuse of their habitat. 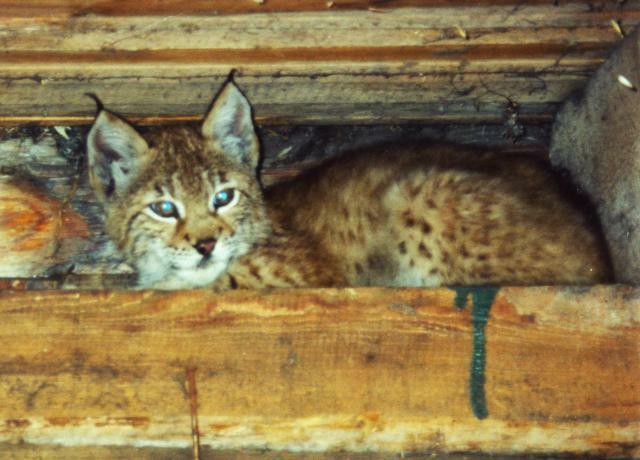 Because lynx need large areas of undisturbed forest, logging and road building creates barriers and isolates populations. Recreational activities such as skiing, snow mobiling, and the use of sport utility vehicles also displace lynx from forests. *Convention on International Trade in Endangered Species of Wild Fauna and Flora, an international treaty with more than 144 member countries. Appendix I species cannot be traded commercially. Appendix II species can be traded commercially only if it does not harm their survival.